Granville Road is right in the heart of the Nathan Road tourist district and the area has a wide range of accommodation options. 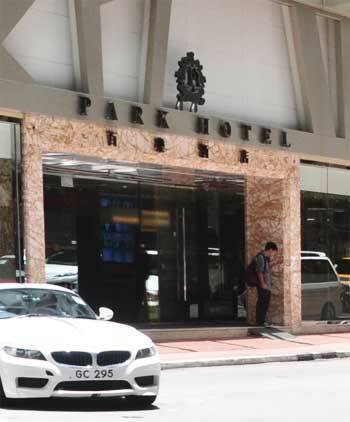 The Mira Hotel, previously the Miramar, is an exclusive 5 star hotel luxury hotel which is right on the corner between Granville Road and Nathan Road, adjoining The One mall. 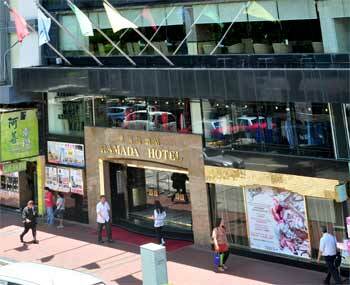 At the other end of the Fashion Street section of Granville Road you will find the Ramada Kowloon which is a 4 star hotel in the respected Ramada Inn chain with very reasonable pricing. For a medium budget option the Empire Hotel Kowloon on the neighboring Kimberley Street is a great option. Also around the corner on Nathan Road is the well known Chun King Mansions which houses a range of very discount hostels for the backpacker or traveler on a tight budget. With it's back facing Granville Circuit, the loop of road off of Granville Street, the Park Hotel is an old but well renovated hotel with it's main entrance on Chatham Road.